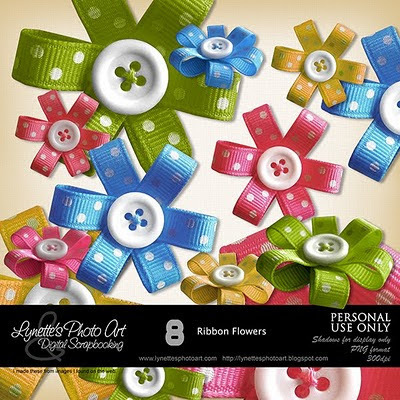 Ribbon Flowers has eight ribbon and button flowers in four color schemes. Click image to enlarge. Click Buy It Now Button below the image to purchase from my PayPal Store for $1.99. Today I'm giving you a pretty word art made with with this kit to sample.